Choosing a CUPA PIZARRAS product means opting for peace of mind. Our quality systems go beyond international standards, based on decades of slate production experience. CUPA PIZARRAS has been a pioneer in establishing systems for controlling, analysing and selecting natural slate since 1892. 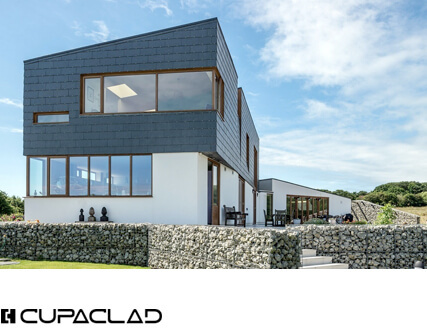 The quality of our products is guaranteed by meticulous control throughout the production process, from slate extraction from our own quarries to working in our transformation units. 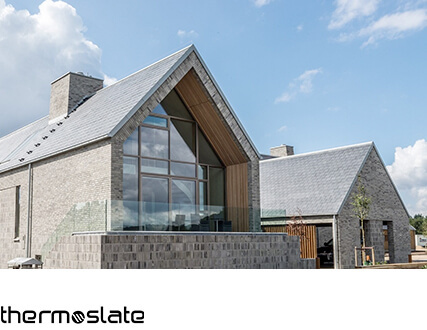 All the natural slates that bear our brand have been produced directly in our quarries and, therefore, are subject to our quality and environmental management policies, as well as our unique traceability system. Our exhaustive control of the whole process enables us to offer a range of natural slates that exceed all the international quality standards. Our resolute commitment to quality has gained us the trust of thousands of architects, installers and individuals around the world. 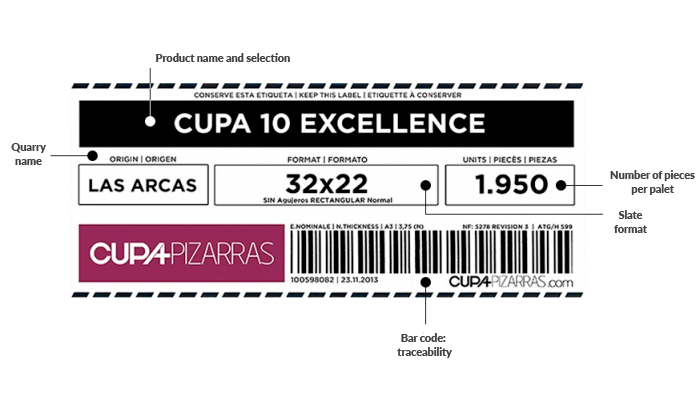 CUPA PIZARRAS has a unique comprehensive quality control system that enables us to identify the origin, type, technical data and production dates for each of our natural slates. Our traceability procedure is implemented using a unique bar code that accompanies the slate throughout the production process. This system enables us to monitor the quality of all our products in real time, but, more importantly, it makes it possible to provide our distributors and customers with precise information on each slate produced. 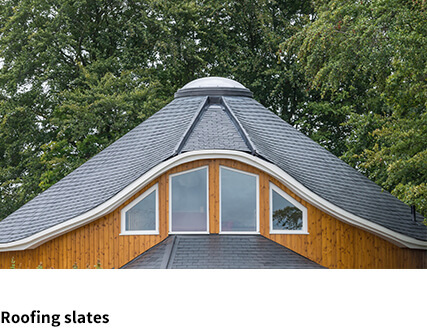 A good quality natural slate is an unbeatable product for any project, thanks to its natural properties. However, there are products on the market that vary in composition and quality, giving highly diverse performance. It is essential to demand specific information from the producer on the natural slate chosen for your product. A DOP expresses the essential characteristics of a product. Manufactures must indicate this performance within the documentation marked CE. As a general rule, we at CUPA PIZARRAS always recommend acquiring natural slate with producer company brand and information, avoiding generic and distributor’s brands as far as possible as these make it difficult to correctly identify the product. 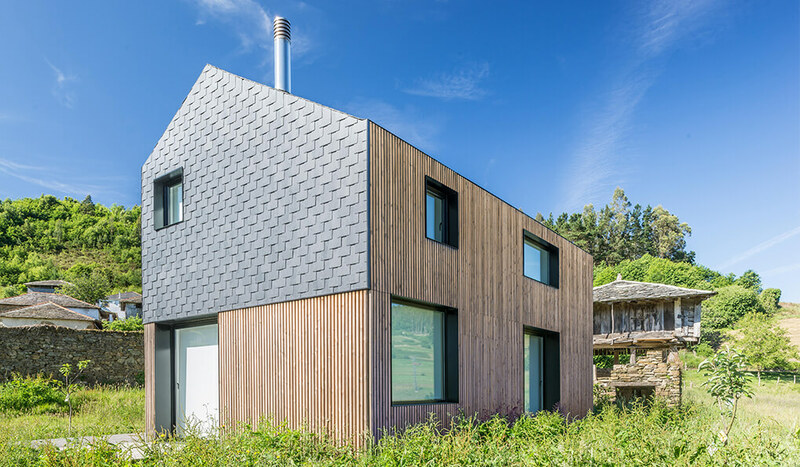 Unlike other brands, CUPA PIZARRAS produces and transforms its natural slate in its own quarries and units, enabling us to control product quality from source. If you have any questions don’t hesitate to contact our team of experts on slate.